There’s a lot of buzz about how SharePoint can increase productivity by streamlining office procedures, making information accessible and teamwork easy. SharePoint does this with document management, content management, and, as I’ll discuss my next blog post, enterprise content management. So let’s dig a little deeper into the power of document and content management. In SharePoint, you can create document libraries, which is hardly anything new if you’re used to organizing documents on a network. But SharePoint is an amazing productivity booster because it makes document management so easy. Let’s say, for example, you create a New Product Definition document and need input from product development team members. So you post it on SharePoint with all the Meta data to make it easy to find. You’re not ready for everyone in the company to see what’s coming down the pike so you assign access permissions to team members who need to see it, or to a group that’s already been set up. Now let’s suppose an engineer wants to fill in some information on the technical specifications of the new product. She finds the document in a couple of clicks by using the search function or filtering the documents according to selections listed in the column headers in the library. Once she’s made her changes and saved them, SharePoint notes she’s updated it and when she made the changes. Since you created the document, you might be concerned about the engineer’s changes. But you don’t have to worry if you’ve turned on the versioning control. This enables you to see older document versions and even restore a document if someone makes a mistake. Beyond yourself and the engineer, there are additional team members. How do you make sure that two people aren’t working on the document at the same time? You use SharePoint’s check-in and check-out feature. If a team member checks out the document, he or she is the only one able to make changes to it. The file is locked until they check it back in. Like most teams, you probably have some people who are often on the road, or work from remote locations. Because they can access your SharePoint site anywhere, anytime, they never have to slow down because they can’t find what they need to get their jobs done. Once the team has completed the New Product Definition, you need upper management’s approval to move forward. That means routing the document up the chain of command. But there’s no need to overnight it from one location to the next, and coordinate with administrative assistants to assure it’s not buried in an in-box. Just set it up in a SharePoint workflow. Workflows are perfect for approval procedures and other tasks that follow routine procedures. 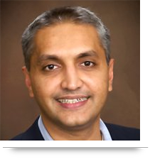 Automation assures a fool-proof, efficient process. You can overcome the web-developer bottleneck for web content publishing by using SharePoint to create, publish, and manage both Intranets and public websites. It’s easy for non-technical users to add content because they can create it in a WYSIWYG (what you see if what you get) environment. And you can use features of versioning and workflows mentioned above to manage content that’s published. Associates generate the content and can use a workflow to route it through the Communications Department for review and final editing before it’s published. Another useful feature for globe-trotting organizations is the Translation Management Library. This library automatically creates copies of documents for each language required. Then it assigns translation tasks to the linguistic gurus. All the time the library tracks the relationship between the original document and translated versions, assuring websites published in multiple languages all deploy the same basic content. 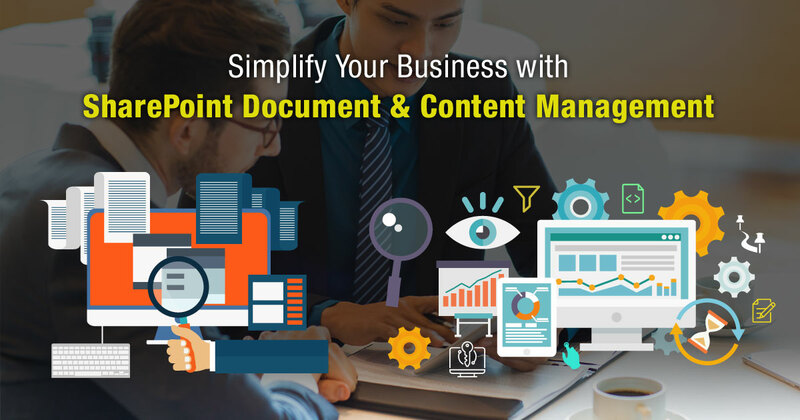 Call us at 484-892-5713 or Contact Us today to learn more about simplify your business with SharePoint document and content management system.